Arvest Bank’s Don Gooch recently took the role of Chairman of the Board for the Greater Hot Springs Chamber of Commerce. 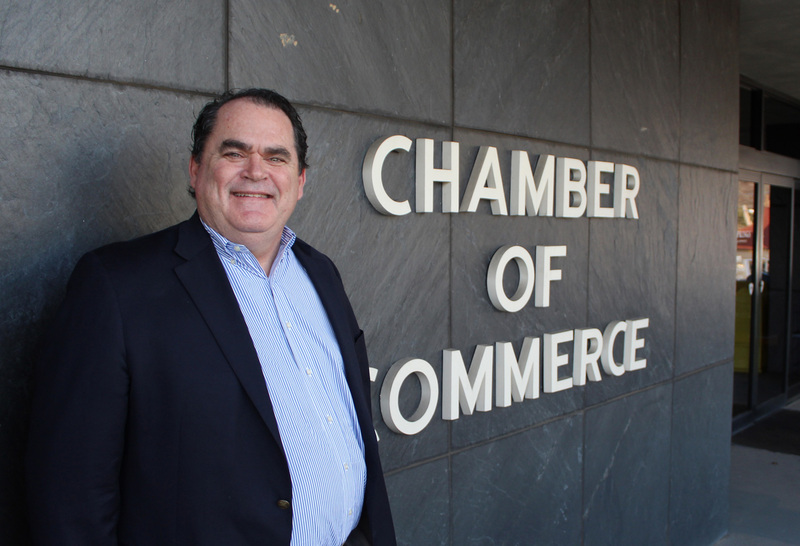 Gooch, who is the Community Bank President—Southwest Arkansas for Arvest, has been involved with the Chamber and Hot Springs Metro Partnership since he moved to the area in 2008. He chaired the Partnership in 2012. Gooch said he wants people to look forward to every Chamber event and function. “We need to share good news, have fun, and seek ways to better our Chamber and our community every time we are together,” he said. As chairman this year, Gooch said he wants to strive for excellence and highlight excellence within the Hot Springs community. Hot Springs has big city amenities with a small town feel, he said. There are numerous aspects of the area Gooch loves including great schools, tourism assets, sunsets on Lake Hamilton, Oaklawn Racing & Gaming, the mountains and trails, and wonderful signature restaurants like DeLuca’s Pizzeria (he recommends The Gooch Pie!). Gooch also enjoys the numerous arts festivals Hot Springs offers, like Arts & the Park, the Hot Springs Documentary Film Festival and the Hot Springs Music Festival. Other aspects of the Hot Springs community Gooch loves are the healthy business community and the giving spirit of the Hot Springs citizens. Gooch and his wife, Dana, have two daughters, Scarlett and Georgia. Scarlett, a graduate of Lakeside High School, is a freshman at Oklahoma State University, where she studies sports media and communications. Georgia is a junior at Lakeside, where she is the Junior Class President, member of the Lakeside Chamber Choir, and is currently working to make sure this year’s prom is a success. Dana is a registered nurse and works as a case manager for Blue Cross Blue Shield. Gooch’s mother, Corinne, who has lived in Hot Springs for the past 10 years, taught elementary school, is a classically trained singer, and “one of the classiest ladies on earth.” She holds a degree in music and performed with the Houston and Philadelphia operas. His late father was a physician in Enid, Okla., and Gooch said they always owned a cattle ranch. Gooch’s grandparents were all born in Indian Territory, what is present-day Oklahoma. Gooch is also an accomplished singer and has performed at First United Methodist Church, Veterans Day and Memorial Day services, and many other civic events. He and Dana will also serve as the King and Queen for the Hot Springs Jazz Society Mardi Gras Ball.